Tulsi Green Tea This amazing combination refreshes, energizes and tastes wonderful. It soothes the body, mind and spirit and is known to bestow an amazing number of health benefits. The beverage reduces stress, strengthens immunity, is rich in antioxidants and guards against cough & cold. 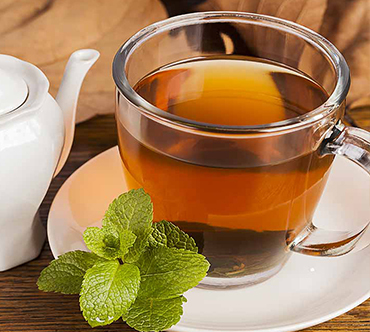 Combination of Tulsi and Green tea are known to help in weight loss, fight cancer, blood sugar and diabetes. The brew also keeps you healthy & young from inside.